The turning point of October 20th hides special emotional value that often stands out from what is perceived as "normal" or common. Mood swings are expected in those born on this date, as well as deep emotional awareness of others, felt strongly in their body and heart. Sensing energies that cannot be seen, they often protect themselves by overthinking and conversations that steer them away from their own power. Both lights in a wave with Pluto seem a bit scary, but they are truly an exquisite opportunity for deep research and magic of creation. 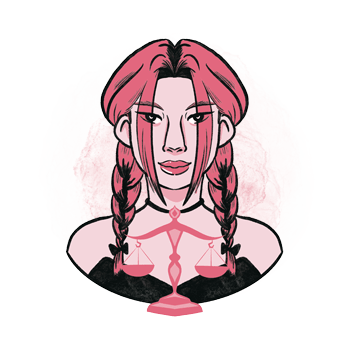 However bizarre their lives might be, from time to time, Libras born on October 20th seem to have a way to embrace any circumstance thrown their way, ever ready and in a constant loop with change. This might make them unstable in ordinary relationships and interactions and could lead through significant turns in their professional direction, finances, or their marriage and relationships. If they make too many compromises, they will inevitably feel as if they can only burst and take a sharp turn, and to be a bit less dramatic in their sudden impulses, they should listen to them in time, following their emotional core every day. "An Airplane Sails, High in the Clear Sky"
This symbol is more of a depiction of these individuals running away from their deep issues, than it is of their realistic state, at least up to the point where they get in touch with their shadows and inner demons. Too much talk, their link to the higher thought, might be clear and incredibly rich with information for others, but their emotional state depends on their ability to land the plane, to create what they envision, and to do so with loved ones by their side. They can fly high, catch rays of the Sun where others don’t ever reach, but in order to share them with clarity and live what they’ve seen, they must sink into emotion and let stale feelings out to cleanse, so they can regenerate their inner world. The purpose in lives of those born on October 20th is in finding the right direction to move in, so they can hold on to the same course with their passionate inner sensation intact. They are to travel, expand their horizons and learn, with education often calling on them as an opportunity to explore rather than something to provide them with status. They need to feel their inner voice and guidance coming from their heart, so that their beliefs will fall into place and allow them to see the incredible opportunities they have when their doors are open. The emotional world of those born on October 20th is filled with passionate encounters and fatal romances, and while things may become overly dramatic, they will usually stay rational enough to keep some sort of a balance. The intense change of energy as they begin a new bond could tie them to those they aren’t meant to stay with, or distance them from people they truly love. The solution isn’t found in self-control but in freedom to express themselves in the moment, without holding back. 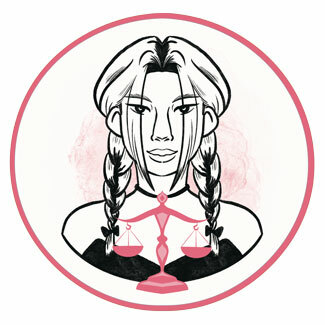 They won’t settle for a relationship that is half-anything and have a harder time compromising than other Libras. When they meet someone and fall in love, they want them exclusively to themselves, and stay focused sometimes to the point of jealousy and obsession. They need a partner who won’t resist the magnetic pull of their intimate worlds, someone who isn’t afraid to dig through the painful issues, so they can heal each other through mutual understanding and raise their awareness and the level of happiness as time goes by. Sexuality typically plays an important role in the process of emotional healing. A person born on the 20th of October is good at all sorts of research and in-depth analysis. They make excellent achievements in different fields of psychology and healing techniques and make great detectives and investigators with their instincts impeccable when they listen to them closely. They won’t mind danger in their everyday surroundings, for as long as they aren’t conflicted on a personal level with those who are meant to represent their authorities. Menalite, also called the goddess stone, is a very good choice for a Libra born on October 20th, connecting them to ancient female insight. This stone should be chosen personally, by an attractive appearance. It assists contact with spirit guides, as well as past life regression, and helps one release fear, specifically fear of death. It tenderly brings one in touch with deep energies they carry within, sparking the light of faith and giving them a stable presence in this moment in time. With their emotions changeable, it might be a bit difficult to understand what they wish for. Their birthday gift needs depth, but each dilemma can be resolved by literature on healing or karma, crystals, and courses in meditation and past life experiences. In search for the light at the end of any tunnel, their present should have an optimistic and colorful feature, something joyful enough and meaningful enough to be seen, a reward waiting for them at the end of the road. In general, they will appreciate the thought whatever you get them, but might be hurt by a sign of affection that isn’t in tune with the depth of emotion they feel for you. Deeply emotional and empathic, if they keep their heart open throughout changes in their life, they become healers and incredible support in times of crisis and all possibly dangerous situations in lives of others. Casting their feelings away, they could become cold, distant, too difficult to relate to, and vindictive. They need a strong foundation to grow from and won’t be at all pleasant if they don’t learn to regenerate and flow with the beat of their heart. In 1882 Bela Lugosi was born, a Hungarian American actor, famous for his roles in horror films, especially his role of Count Dracula in the 1931 film. Before his acting career launched, he was awarded the Wound Medal for wounds he suffered while serving on the Russian front. In 1950 Tom Petty was born, an American singer, guitarist, songwriter, and one of the best-selling music artists of all time. As a young man, he briefly worked as a gravedigger. Just before he died, he toured for the last time with a broken hip, delaying surgery and relying on pain medication, feeling as if he owed it to his crew and fans. In 1971 Snoop Dogg (Calvin Cordozar Broadus Jr.) was born, an American rapper, actor and producer, whose debut album got released by Death Row Records. He claimed that he was actually a professional pimp in 2003 and 2004. 1548 – Founding of the city of La Paz. 1781 – In Austria, a limited freedom of worship is provided by the Patent of Toleration. 1818 – The border between Canada and the U. S. is settled on the 49th parallel for the most of its length by The Convention of 1818. 1904 – The Treaty of Peace and Friendship is signed by Chile and Bolivia, delimiting the border between the countries. 1961 – The first armed test of a submarine-launched ballistic missile by the Soviet Union. 1973 – After 14 years of construction, the Sydney Opera House is opened.